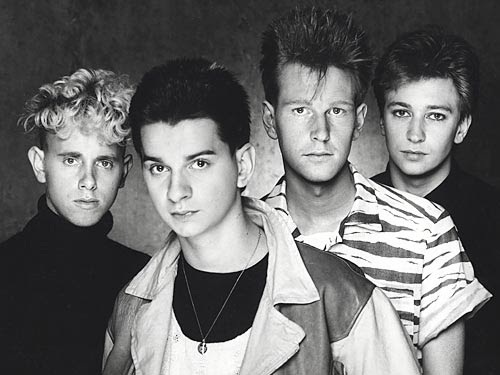 Another pivotal gig this one - this captures Depeche Mode on the See You tour, shortly after Vince Clarke left in November 1981 and after recruiting Alan Wilder to the lineup as his replacement. "See You", the first single written by Martin Gore, was released 1 month before this gig and the setlist features what would become their next single, "The Meaning of Love". An interesting snapshot of a band at the early stages of transition and featuring a bizarre choice of a Gerry and The Pacemakers song as an encore! This was an FM radio broadcast and has polished up extremely well - if you didn't hear it at the time, you're in for a treat! Now available as a 320 kbps mp3 for the first time, the show is available for download HERE (the link also allows you to just stream it, if you wish). Many thanks for all your work & for sharing.